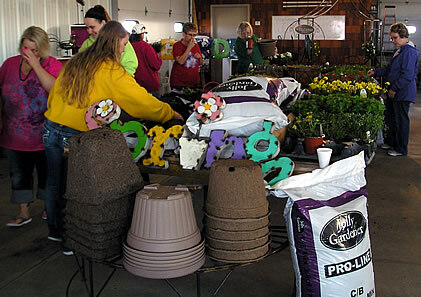 Our Garden Center offers everything you will need for your pots, flower gardens. 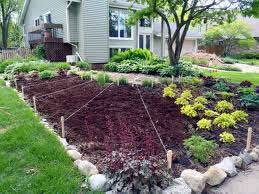 ponds and vegetable gardens. 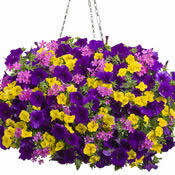 We have a large selectrion of annuals, perrenials, herbs, pond plants, fruits and vegetables. Our knowledgeable staff will be able to answer any of your plant and planning questions. See more detailed information on our Garden Center Page. We offer several ways for you to enjoy all the wonderful vegetables we have been supplying for you over the years. Stop in to our new Market Place and buy whatever is in season. Just like Farmer Market Days with the added advantage of being able to stop by at YOUR convenience. No more waiting until Market Day. Are you canning, freezing, planning a large gathering? If you need larger amounts of certain vegetables in season, give us a call and we can have them ready for you. 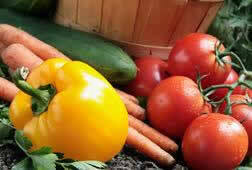 For more information on what's in season and these services see our "Farmer's Market Page." Professionally grown plants for you garden and outdoor living areas will beautify the space you enjoy during the best season of the year! We can custom plan your garden or containers just for you. Simply let us know your color, style, and size preferences and we will do the rest. 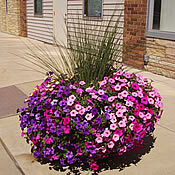 In no time at all you will have great looking, healthy, finished garden or mixed container. Do you have a large planter? You're at the garden center and your purchases won't fit into the car! Maybe you are short on time and need home delivery of a few plants for that special week-end get together? Whatever the reason, the staff at Hilltop Greenhouse and Farm is ready to help. 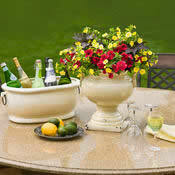 Give us a call and we will deliver your complete planters, orders large or small. We are here to help with the service and knowledge you would expect from a family owned and operated greenhouse. We offer fundraising opportunities for community organizations. We enjoy sharing our green house and time for that special group. Our family at Hilltop Greenhouse and Farm has always valued our local community and this is a way to work together. Contact us to learn what program we offer will help nurture your group as well. Don't know what to give that someone special! What would be better then a gift of beauty and healthy living? Good on all plants, products, and vegetables, call for one today! You choose the amount. No expiration date.